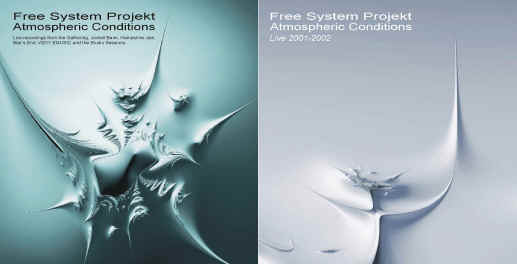 Free System Projekt started out as the solo project of Dutchman Marcel Engels. Around 1980, he heard records by Jean-Michel Jarre and Tomita but it wasn't until seven years later that Marcel bought his first keyboard. Now he has a nice studio where he experiments with sounds and records his studio projects. As Mike Oldfield once stated in an interview, "It's a room with possibilities." Using a mixture of analog and digital synthesizers, Marcel creates atmospheres in the style of electronic music of the 70s and early 80s. Influenced by Tangerine Dream, Neuronium, Jarre and Schulze, Marcel also includes Pink Floyd, Camel, Pulsar, Ozric Tentacles,Orbital and Future Sound of London in his listening habits. Free System Projekt has been to the USA twice before when Marcel attended and performed at the Ricochet Gathering at the Okefenokee swamp. A wonderful CD of the 2000 event, Okefenokee Dreams with Dave Brewer and released on the Groove label, was followed up by a CD of the 2001 event, Okefenokee Dreams 2001. Both CDs feature Free System Projekt. Marcel has also released a solo CD on the Quantum label called Pointless Reminder. In order to perform the music in concert that he envisioned, Marcel began to enlist the help of friends he met while volunteering at the Alfa Centauri electronic music festival. For a minitour of 2001, Marcel was joined by Ruud Heij and a member who no longer is in the band. 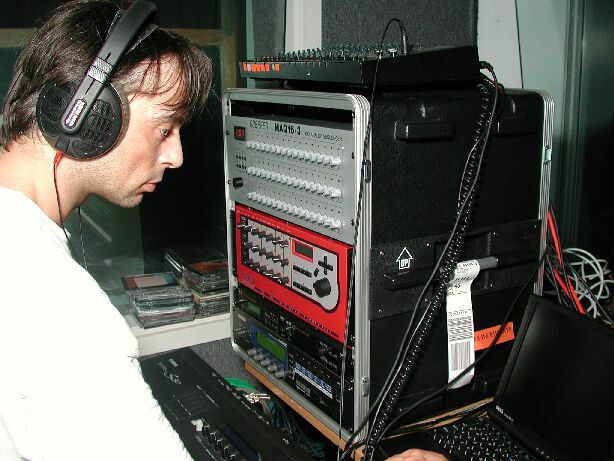 Ruud Heij began playing synthesizers in 1982 after listening to electronic music by Klaus Schulze, Michael Hoenig, Tim Blake and Tangerine Dream. Hearing Klaus Schulze's Moondawn inspired Ruud to play the synthesizer. 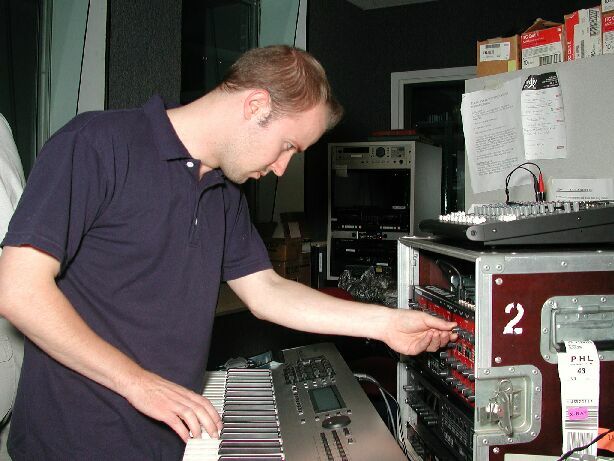 He started with a Korg MS20, which he still owns. His collection of synths in the Infinite Echoes Studio has grown considerably over the years, consisting mainly of analog synthesizers. Ruud is no stranger to electronic music. He was a guest on Northern ConSequence by Navigator and on wEirD's CD A Different Kind of Normal. Ruud is also a member of two very fine electronic bands. As a member of the pan-European band Kubusschnitt, he has released three CDs, The Cube, The Case, and The Singularity. He is also half of Patchwork with fellow dutchman Ren� Jansen. Together, they have released a CD simply titled Patchwork. This CD includes their composition "Timeline" which originally appeared on the CD Time, a compilation disc of Alfa Centauri contest winners. 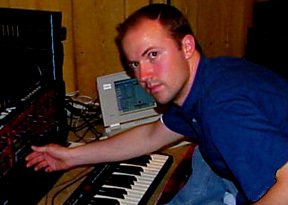 In October of 2001, Free System Projekt came to the US to perform at The Gathering. 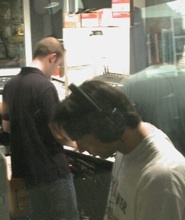 While they were here, they recorded an Echoes Living Room Concert and performed live on the radio, starting with Galactic Travels (under its previous name) and ending with Star's End. This CD, released 21 September 2002 on the Quantum label in the Netherlands, contains music recorded from the 11 October 2001 broadcast of Galactic Travels (under its previous name)! FSP at the Gatherings web site.